Sushi is healthy and popular menu around the world these days, originally Japanese cuisine. It brings beautiful presentation on your family table and oriental attraction for social potluck parties. 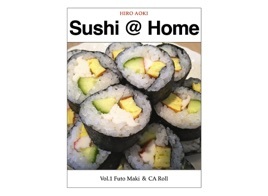 This book provides friendly step-by-step instruction – how to cook sushi at home – with full of photos. 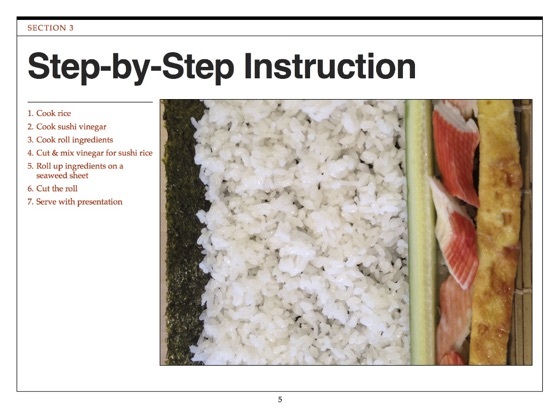 Number of secret recipe of real sushi is included. You don’t need special skill. All ingredients and tools are explained, where to get, how to use. 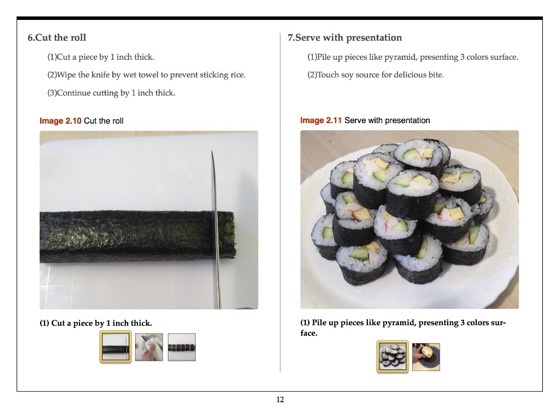 Excellent book with simple and clear instruction on how to make sushi especially for beginners. Highly recommended. Great little book with simple, clear instructions and virtually every step demonstrated with pop-up photographs. 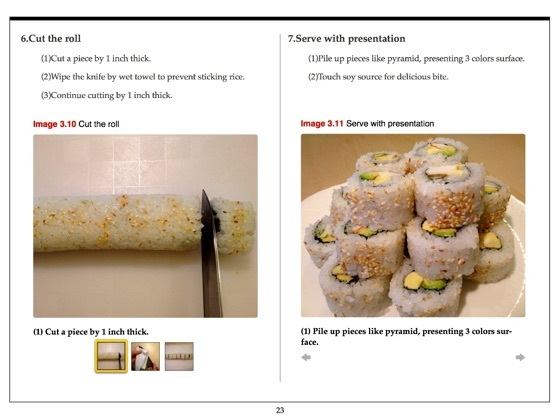 Superior photo effective recipe book for iPad!! 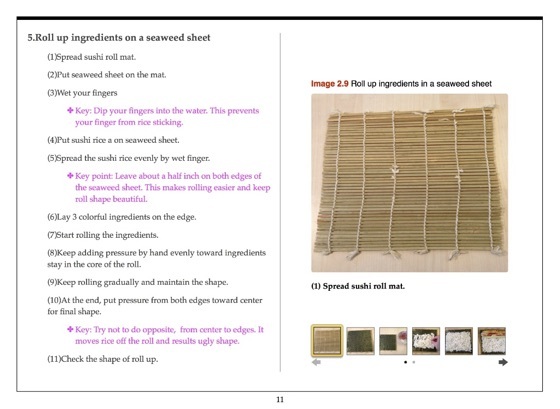 It's very impressive recipe book with full of photos and visual effect using iPad feature. Full of pop-up & swipe & pinch on iPad screen, fun to read! 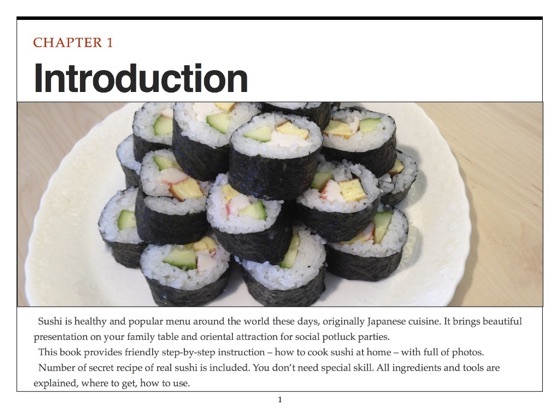 Anyone beginner can make great sushi with this book. We had a fantastic potluck party attraction! The best iPad book ever!